Easy Trigger and Coffee Stain have confirmed that Huntdown is in development for Switch. The “hard-boiled co-op arcade shooter”, featuring hand-drawn pixel animation, will be released via the eShop later this year. 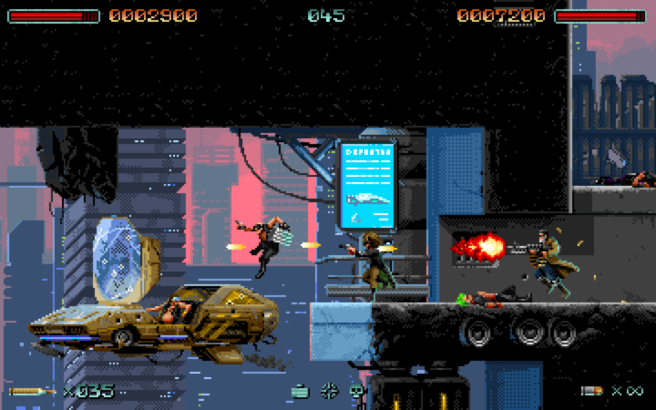 In Huntdown, you’ll be killing the henchmen, taking their guns, and going after the leaders. Bounties will be collected level by level. We’ve included Huntdown’s trailer below. The game is being shown off at PAX East this weekend.